Emerging healthcare markets offer huge potential for healthcare development, however, entry to these countries will require efficient telehealth and mHealth systems because of developing foreign infrastructures. Established healthcare operations will minimize financial risk of entry into markets defined by large populations with minimal healthcare access. GE has already modified healthcare equipment offerings for emerging healthcare markets, including Pacific-Asian and Latin American regions, which are spending more on healthcare system development. GE even developed a value CT scanner from Indian and Chinese markets that is one-tenth the price of their standard models. 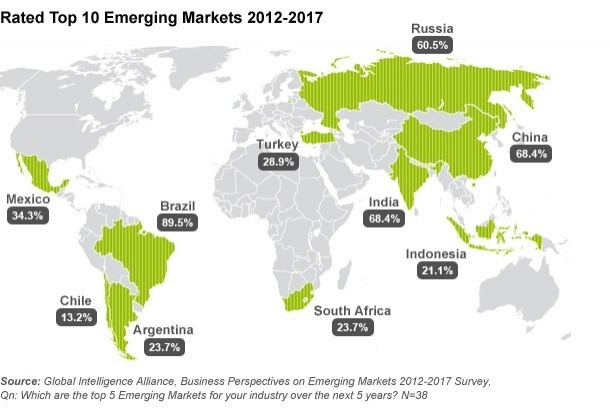 How would your company expand into emerging healthcare markets? For more on healthcare entry strategies, click here.